Tickets are not available any more on JackMove Productions. You may be able to buy tickets at the venue if available. This event is presented by the one and only Jack Move Productions. 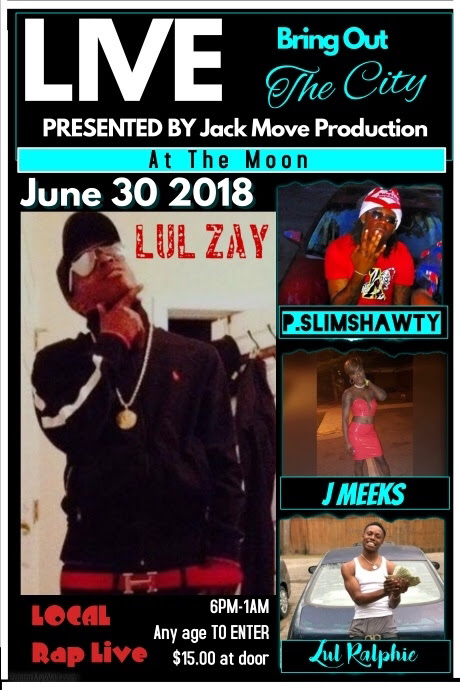 Headling and hosted by the local upcoming rapper DaReal Lul Zay. Featuring other local rapper artist from Tallahassee, Quincy, Havana, and more.